T-Mobile has started rolling out the Oreo update to Motorola Moto Z2 Force units on its network. The update carries a build number of OCX27, and also includes Android security fixes for the month of December. This comes a week after the Moto Z2 Force on Verizon started getting Oreo, making Verizon the first US carrier to roll out the update. If you are on T-Mobile, you should be getting the update in the days to come, so be patient. lucky you. where do you live? i live in west coast and i am expecting to get the update sometime in Jan 2018! Just got mine! 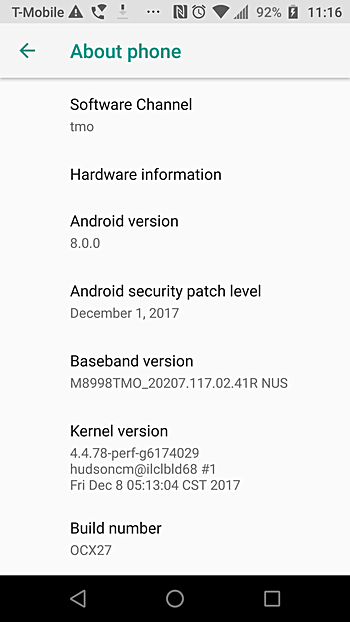 So happy that I have Oreo now.